across all locations ensuring superior customer experience and improving the sales by at least 10-12%. Unicommerce provides key features to enable avenues for online selling for customers walking in to an offline store, thus ensuring that they have access to a much wider catalog, which cannot be stocked in an offline store due to space constraints. 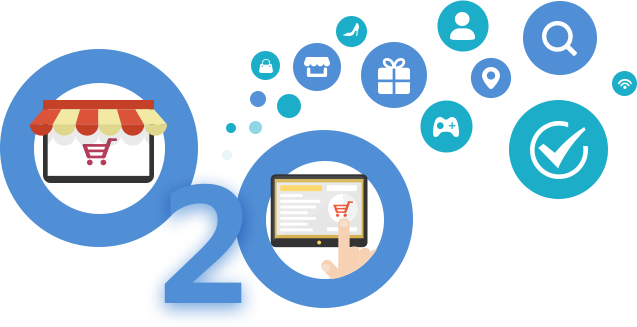 Unicommerce enables the store to get full visibility of inventory across all stores, so that in case a customer is looking for a particular product, which is not available in the current store, it can be ordered from another store and delivered to the customer, thus ensuring there are no lost sales. The solution can connect seamlessly with an in-store kiosk through which the customer can browse through the endless virtual catalog that is available, and choose to get the right product delivered from the right store.